The What Works initiative is having a profound impact on the work of the National Probation Service, and much has been invested in new accredited programmes - both in terms of the numbers of offenders planned to complete these programmes and their anticipated impact upon offending. Yet there has been little scholarly or professional discussion of the nature and risks of the new paradigm: it is important that it is subjected to critical debate and scrutiny. 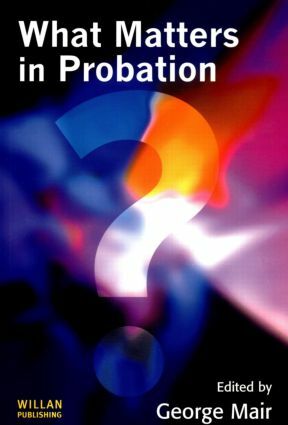 This book aims to provide a critical overview of What Works, providing a wider set of perspectives on a project which is vital for the future of the National Probation Service. The origins of What Works in England and Wales: a house built on sand?